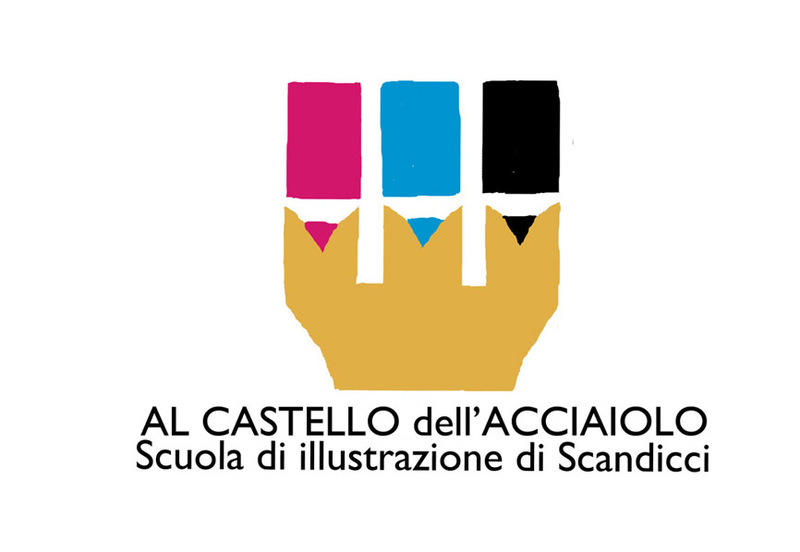 I was involved as a teacher in the new Scandicci School of Illustration. The place where the courses take place has now changed, but at the beginning it seemed that the school was located in a medieval castle near Florence, in the center of Scandicci. The vision of the building stimulated a sketch of the brand that then – appropriately reviewed by the graphic designer Giovanni Mattioli – became the definitive one.